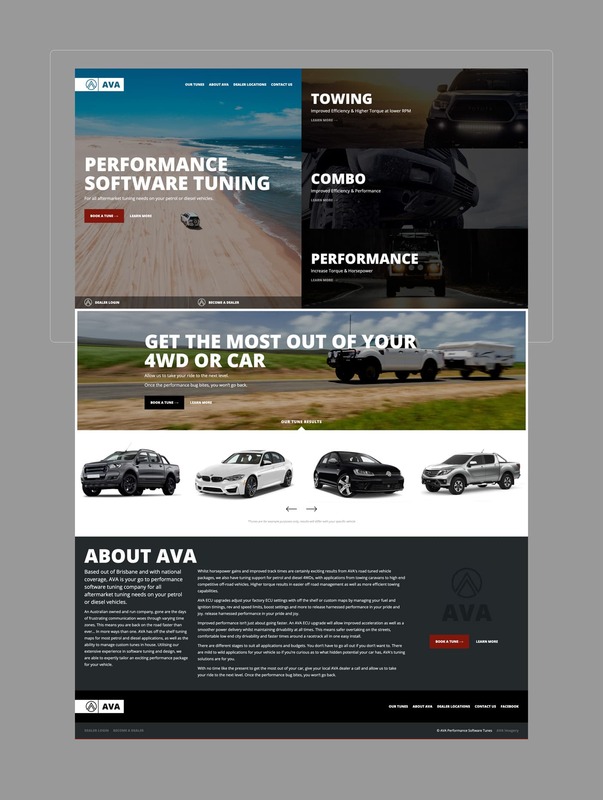 Based out of Brisbane and with national coverage, AVA is your go to performance software tuning company for all aftermarket tuning needs on your petrol or diesel vehicles. 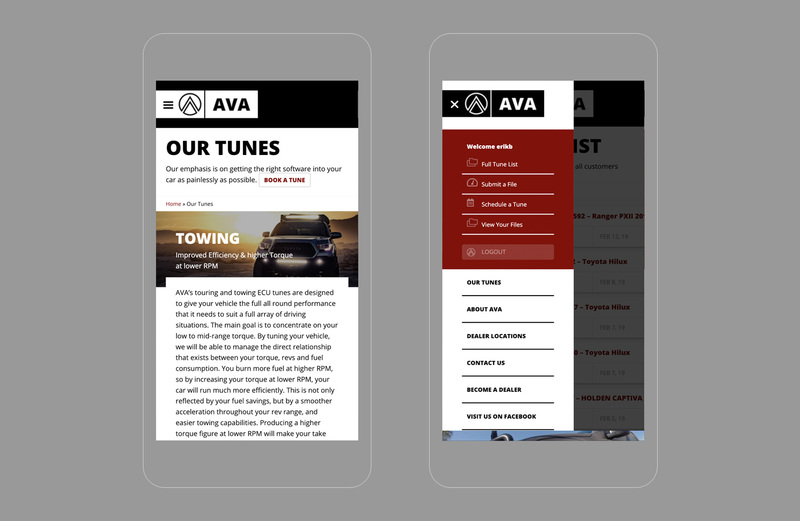 I partnered with AVA to redesign and develop their website. The site serves two purposes: 1. 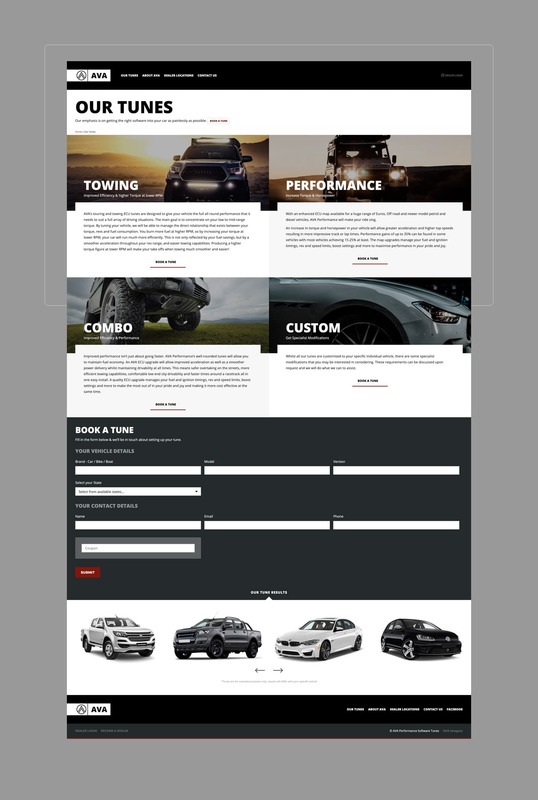 A brochure front-end for prospective clients and dealers, and 2. 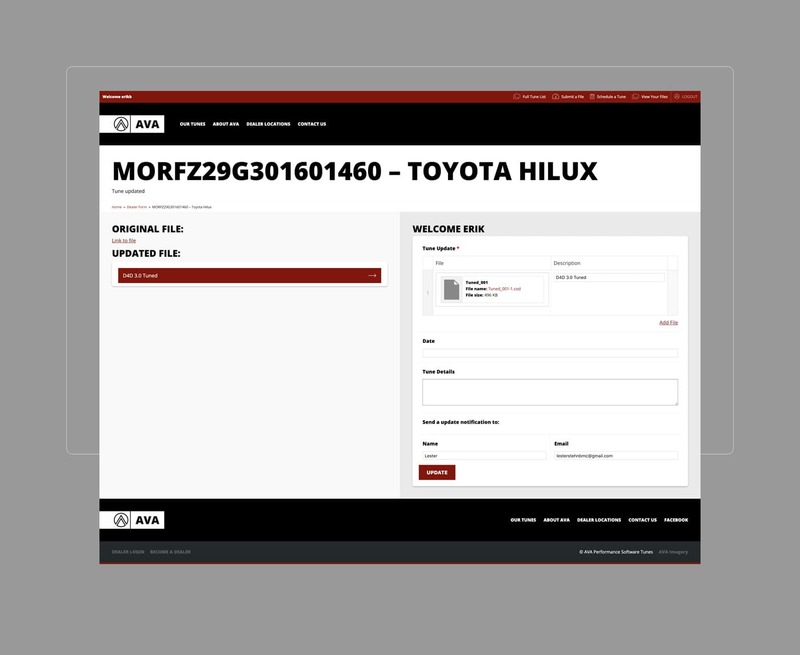 A portal for existing dealers to upload files to be tuned by AVA. This in-turn requires the AVA team to login and upload the new files. 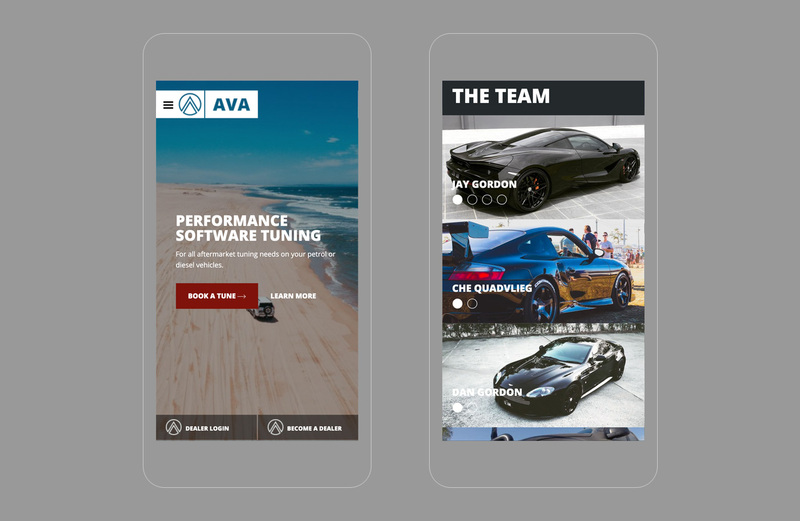 This is achieved completely on the front-end so the AVA team and dealers have the same user-experience and the entire process is ‘AVA branded’ – never seeing the backend of the CMS. 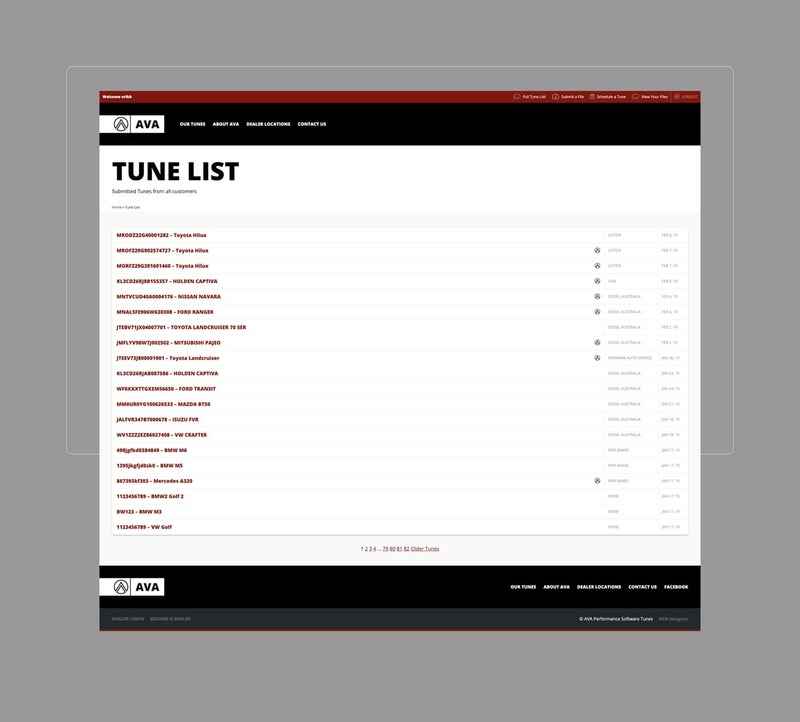 Upon logging in the AVA team see the full-list of submitted tunes. 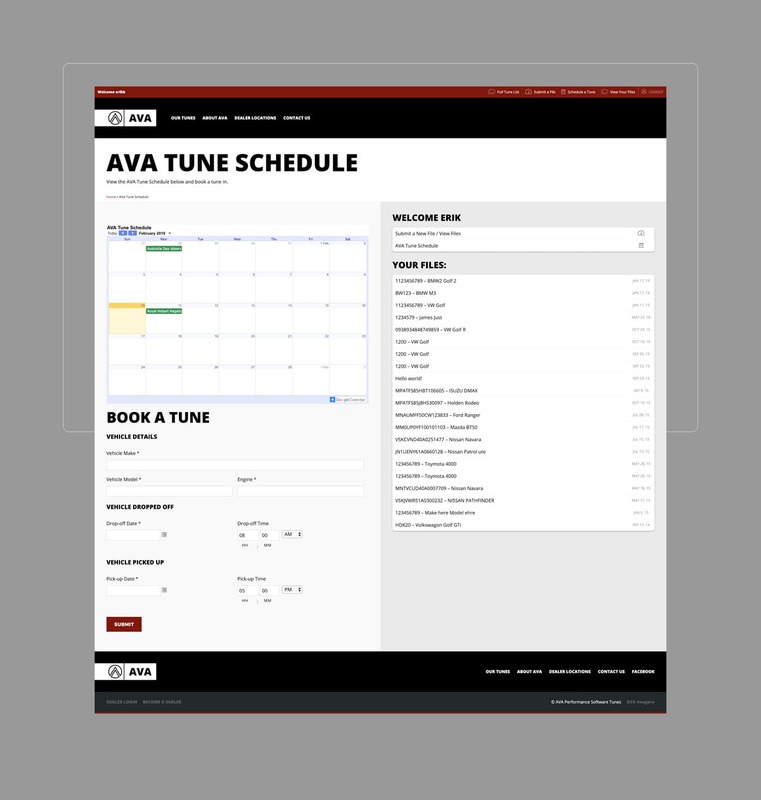 Completed tunes are marked with the AVA logo. The ‘Dealer’ submission screen. 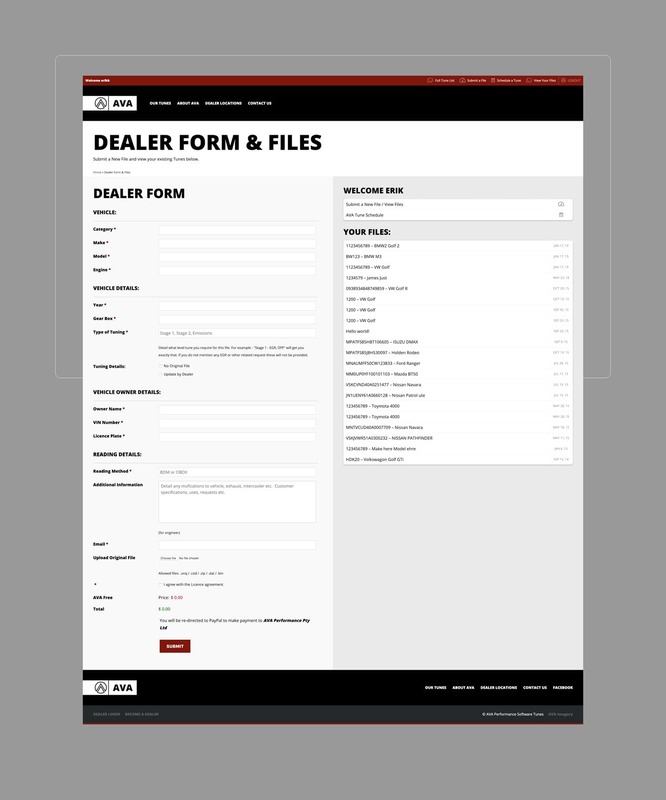 This is the default landing page for a dealer when logging in and allows them to view there existing files and add a new one. Dealers can also ‘Schedule A Tune’ to ensure the correct service for there clients. 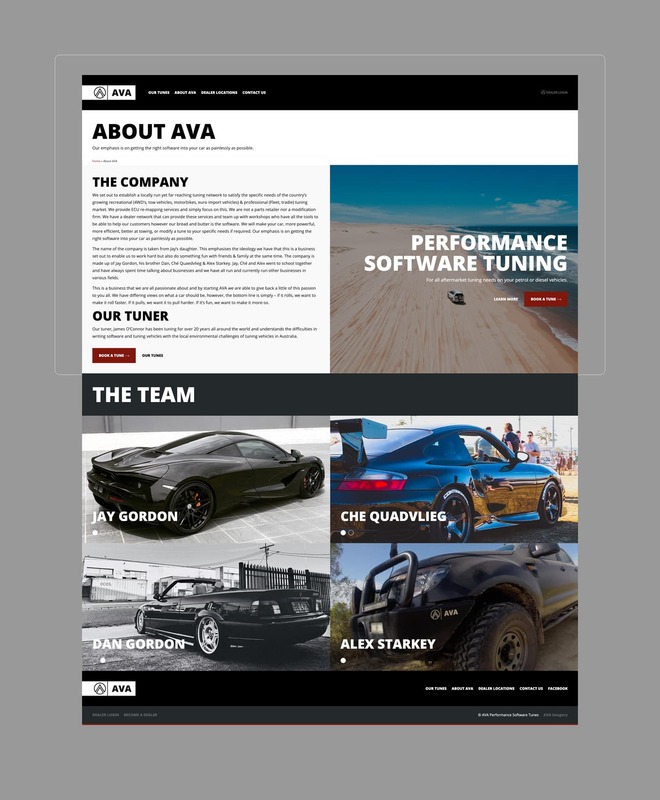 Each submission has its own page, the AVA team has the ability to edit the post from the front-end (per the image below) to add the updated file to the post. THey can also add a message and email the Dealer that the file has been udpated.